With our modern eyes it can be so easy to see the story of Jacob and Esau and think it somehow pedestrian and almost silly in how easily Issac can be duped. We’re not simply meant to see one being pulled over on Issac, but the deep, almost primal, need we all have to put someone else down and pretend to be who we aren’t in order to get ahead. The human ability to take away their brother’s birthright in order to gain prestige, power, and identity through literally pretending to be someone else should still shock us. I may not go so far as to plan out how to impersonate my brother in order to gain a blessing, but I have portrayed a different image other than myself in some circumstances. In high school trying to fit in with the cool crowd, or offering a certain image on social media, it seems almost second nature to offer a different identity in order to be more liked or accepted. This human desire to gain approval, acceptance, power, and wealth by offering a different identity than our own is destructive to our souls and fuels our pride. By thinking we can change who we are for gain, especially if it is at the expense of putting someone else down, we are choosing to believe that who we are created to be is not good enough. We may even start trying to hide our true selves from God, thinking that our sinfulness is a wall that we need to cover up in order to please God. We want to try to reinvent ourselves instead of deal with our sinful tendencies and the consequences of our sin and subsequently returning to God and asking for forgiveness. The words of Jesus today tell us plainly that He can’t work with our old, sinful ways. We can’t pretend our way into being someone else. We can’t imagine our past sins away by portraying goodness. I can’t say I’m reinventing myself and get to Heaven. Jesus doesn’t work with old, used up wineskins. But Jesus does transform us completely. Jesus freely gives us new life. We don’t have to pretend. We don’t have to act like someone we’re not to live for Christ. Jesus does transform us completely. 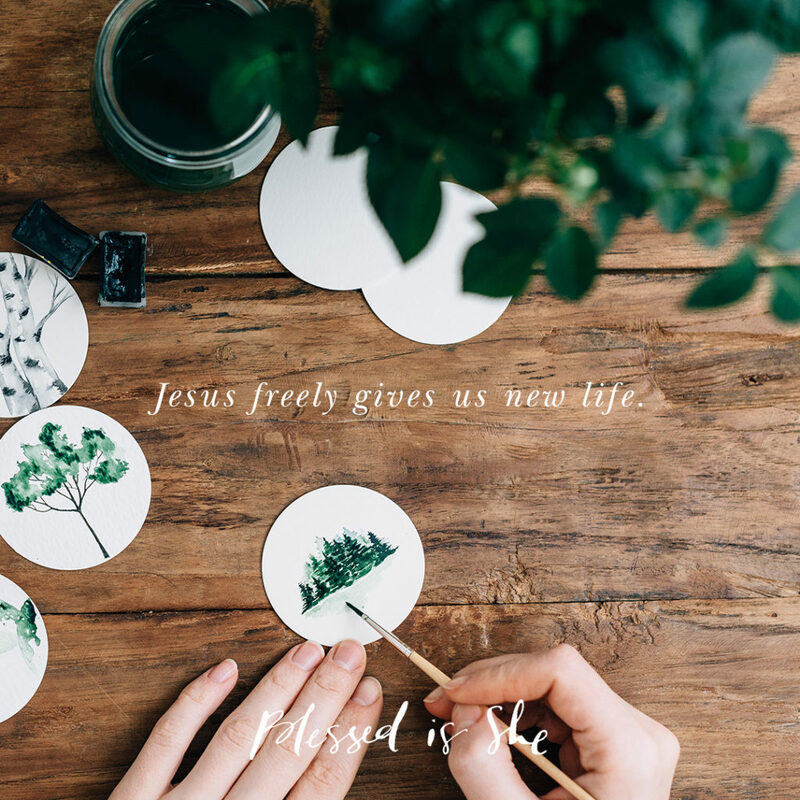 Jesus freely gives us new life. Where do I find my identity? Is it as a child of God? As someone who is intimately known by Christ? Jesus, change our hearts and help us see ourselves through Your eyes.